The Nations capital has more than a handful of hote l offerings, but only one offers the hospitality of a small-town with the chicness of the city. Hyatt Regency Bethesda in Maryland is just a stones throw away from the core of DC. The Metro station is below the hotel and takes a quick 20min trip to the bustling Dupont Circle. 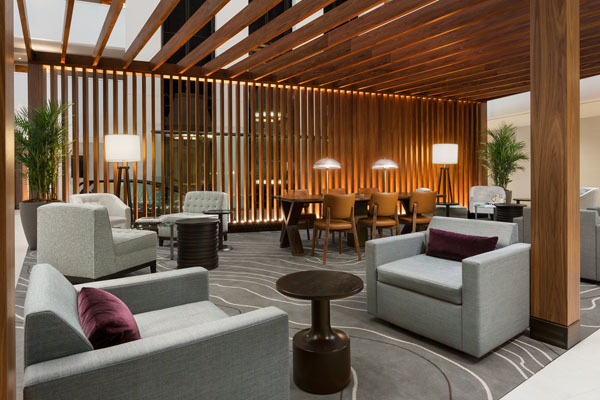 After a 37 million dollar renovation with the help of Gensler, a global architecture/design firm, the hotel’s decor is modern with open architecture. There is a soft neutral grey palate with wooden accents throughout. The newly opened colossal 2,600 sq. ft. Starbucks and Morton’s Steakhouse are staples for hotel guests. Be sure to grab a drink and relax on the rooftop that offers a sweeping look of the city and beyond. 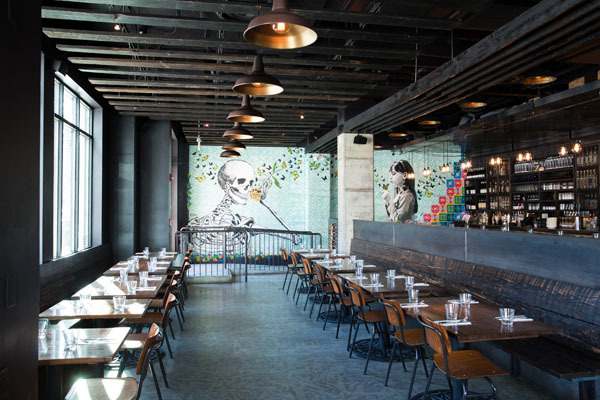 A place that serves a flight of Mezcal and churros gets an A+ in my books. 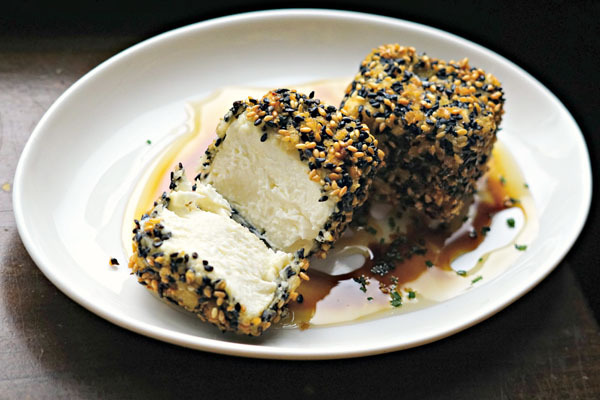 Chef Robert Aikens and his team pride themselves on an ever-changing menu with fresh tasty ingredients at this Shaw neighborhood gem. The focus is the flavors and the techniques of southern Mexico, such as the hand-picked heirloom Oaxacan corn ground daily for use in tortilla chips, tostadas, and tortillas. Colorful hand painted murals by Oaxacan artists Yescka and César Chávez Vic adorn the walls and touch on relevant political topics as immigration and peaceful protesting. 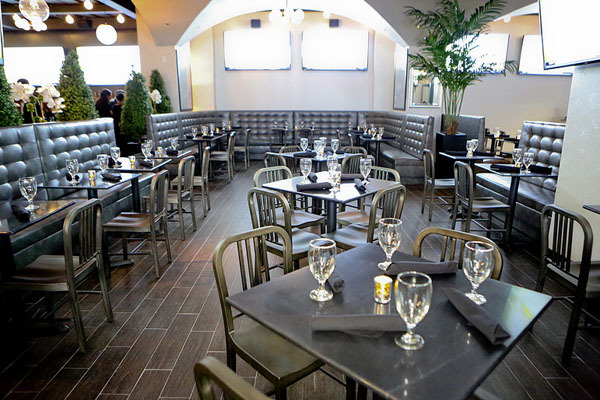 The DC sister of the two NY restaurant/bars (Manhattan Proper and Proper West), Proper 21 gives you sports bar food in an upscale lounge atmosphere. Two blocks away from the White House, Proper 21 is a popular spot for quick lunch meetings, happy hour and dinner gatherings. The crab cake burger with truffle fries is a must. 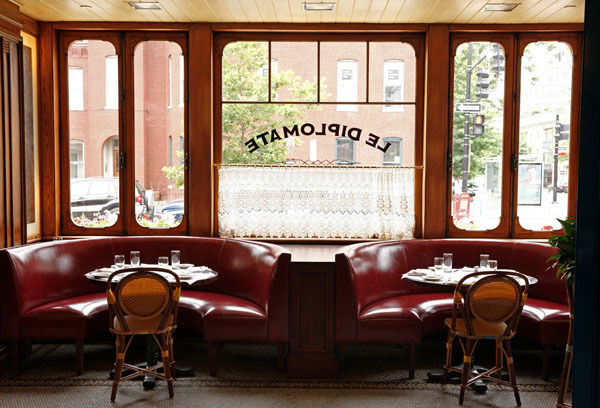 This historical restaurant built in 1923 was revived in 2013 with the help of executive chef Anthony Chittum. Focusing on flavours from Greece, Sardinia, Sicily and Southern Italy complete with a wood burning stove and a tasting menu. In the summer months, enjoy the warm weather while dining on sharing plates in the romantic courtyard enclosed with wisteria and lanterns. My favourite was the local radishes. Escape the rain and dine in the main dining room that used to be stables in the 1800’s. A popular Starr (Le Coucou, Buddakan, Upland and Morimoto) restaurant on 14th street that serves classic Onion Soup Gratinée, Steak Frites, and Escargots in the ambience of a French brassiere. Red banquettes line the windows and the tables are adorned with fresh bread and perfectly whipped butter. And as the French know, everything tastes better with butter. The Ananas Givre – pineapple sorbet is a guilt-free treat post brunch. Brownie points for this secret spot situated underneath a donut shop. 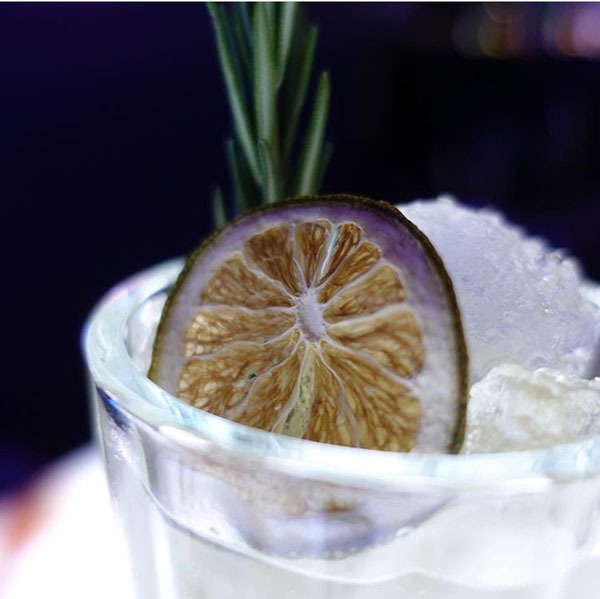 Carefully curated cocktails with fresh ingredients – enthusiasts will be impressed with the attention to detail the mixologists’ pay to their craft. Stay tuned for the newest theme, ‘Around the World’ and check out their cocktails featuring worldwide ingredients. 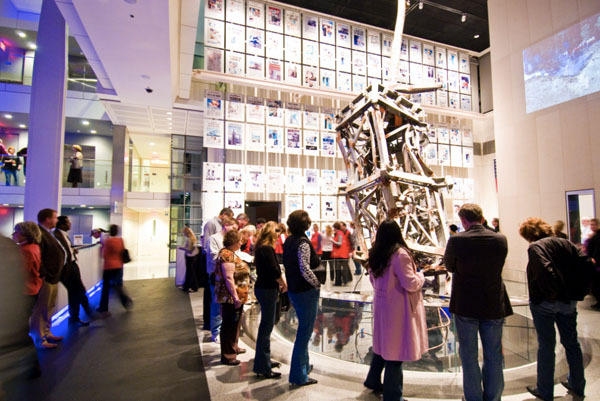 Opened in 2008, this timely museum is dedicated to the increase the awareness and importance of free press and the core values of the First Amendment. 15 galleries span over seven levels. Displays include one of the largest concrete sections of the original Berlin wall outside Germany and the Pulitzer Prize Photographs Gallery with photographs from every Pulitzer Prize–winning entry dating back to 1942. 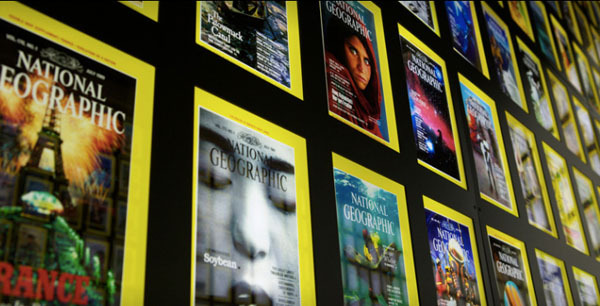 Since 1888, the National Geographic Society has made its home in Washington, D.C. The Society is known for its groundbreaking research about the planet and its dedication to share with its worldwide audience. Visitors can learn about the work of the non-profit scientific and educational organization through eye-inspiring photography exhibitions. From artists, politicians, scientists, inventors, activists, and performers these are America’s best. Learn about the stories and see the faces that have shaped the nation’s history, development and culture in paintings, sculpture, photographs, caricatures, video, and time-based media.